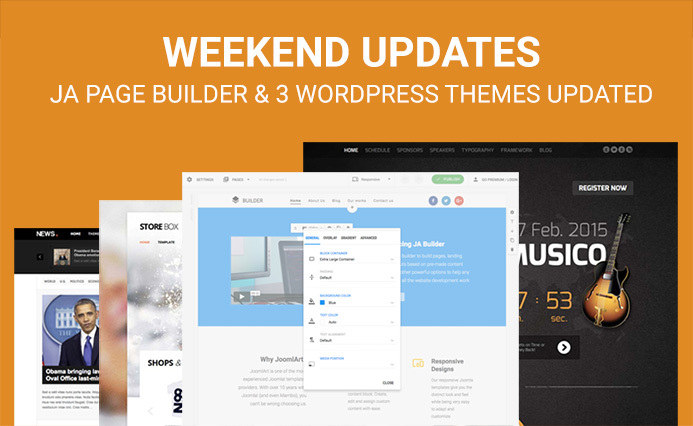 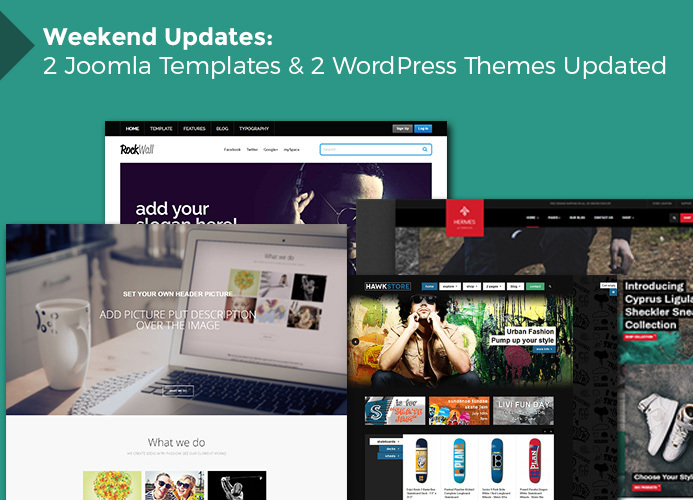 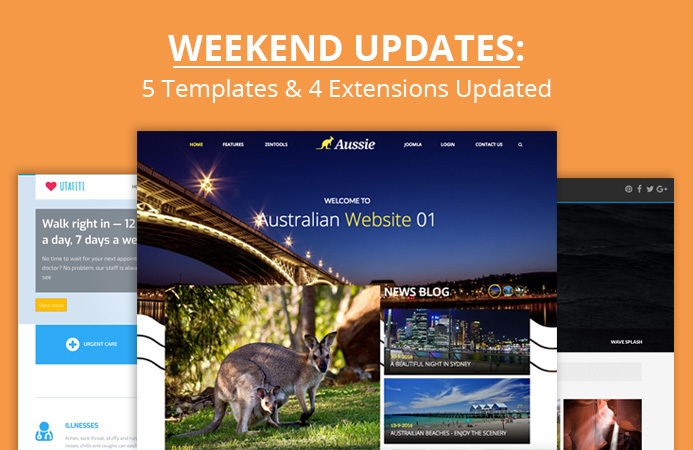 This weekend, We are releasing updates for Joomla templates and module for bug fixes and Joomla 3.8.6 compatibility. 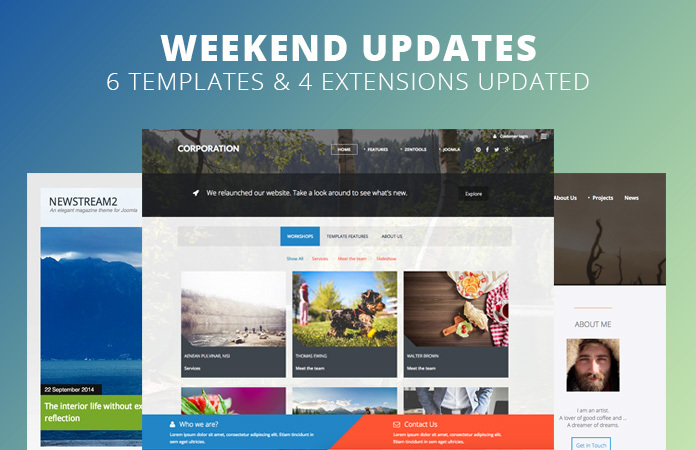 2 Joomlabamboo template JB Corporate and JB Italian for bug fixes and Joomla compatiblity. 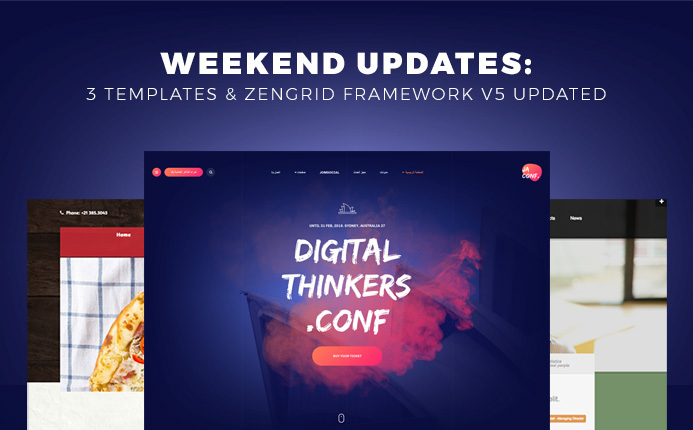 Zengrid Framework v5 for Joomla 3.8.5 support and bug fixes. 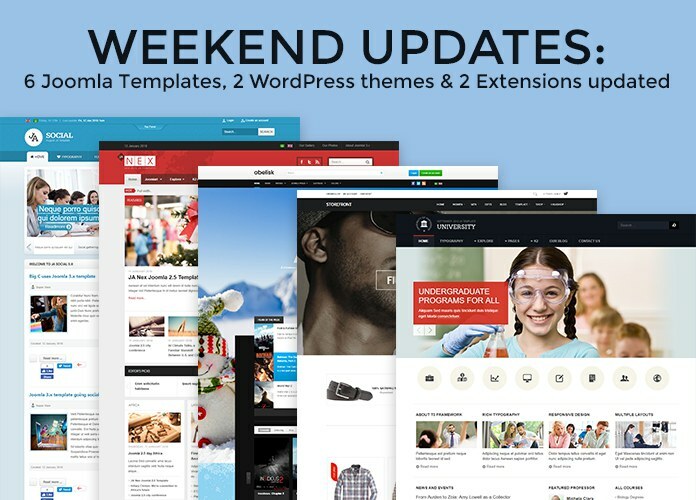 This weekend, We are releasing 3 JoomlArt Joomla templates: JA Fixel, JA Community Plus and 3 Gavick Joomla template GK Game, GK Storebox, GK Rockwall for Joomla 3.8.3 compatibility, 3rd party extension upgrade and bug fixes. 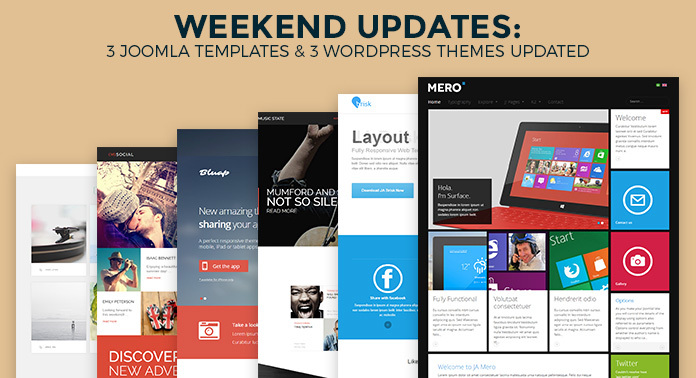 We also released WP theme update for GK Writer, GK Photo, GK Villa Bellucci for WP. 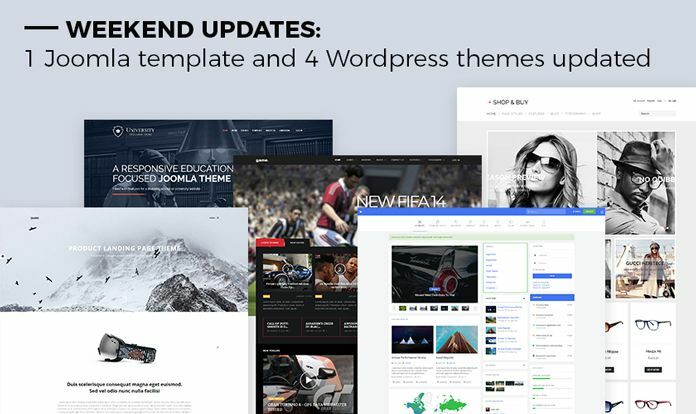 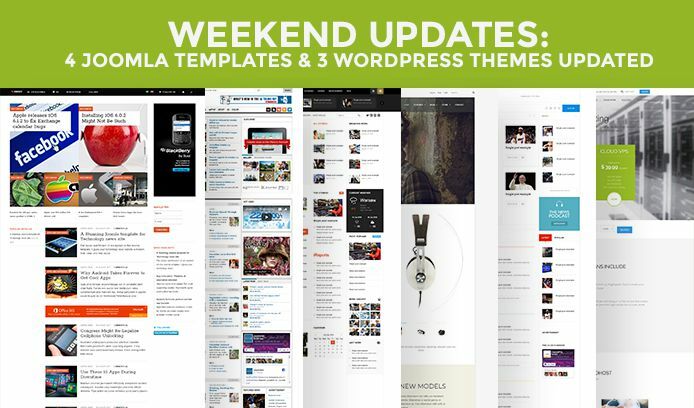 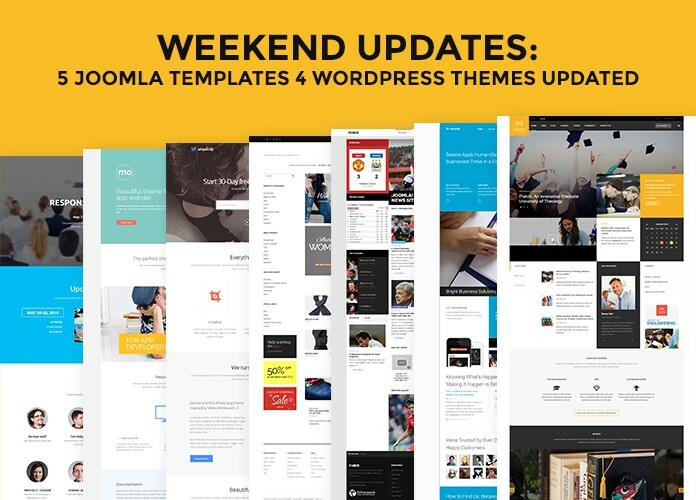 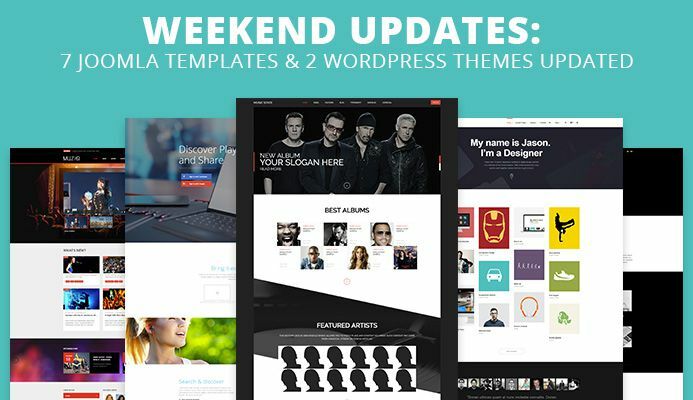 This weekend, we are releasing 4 JoomlArt Joomla templates: JA Muzic, JA Appolio, JA Onepage, JA Jason and 3 Gavick Joomla templates GK News Refreshed, GK Music, GK Creativity template for Joomla 3.8.3 compatibility, 3rd party extension upgrade and bug fixes.We also updated two WordPress themes.